Product prices and availability are accurate as of 2019-04-07 14:52:15 EDT and are subject to change. Any price and availability information displayed on http://www.amazon.com/ at the time of purchase will apply to the purchase of this product. 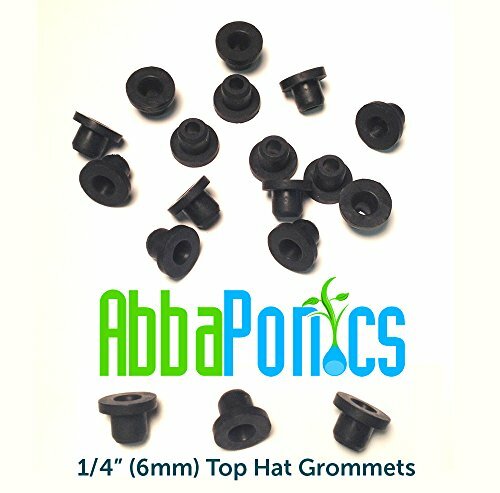 25pc 1/4" (6mm) Hydroponic Top Hat Grommets. Abbaponics Top Hat Grommets are used in Hydroponic Systems or as replacements for existing hydroponic systems. Size: ID 1/4" 6mm Vinyl or Poly drip line tubing. 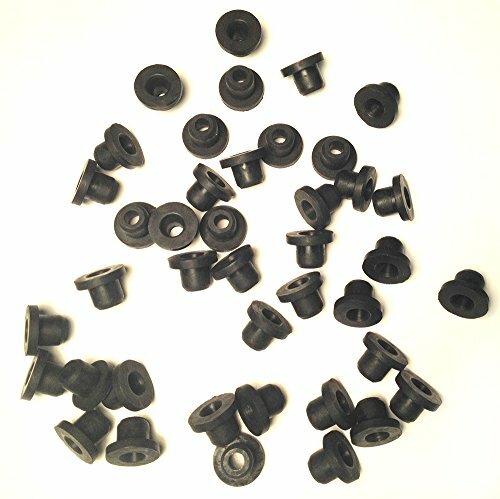 Top Hat style rubber grommets. Seals to provide an air/water tight seal. 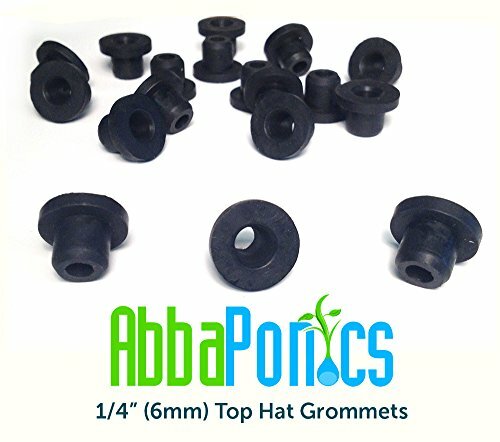 These grommets can be used to build custom hydroponic systems or to replace old & worn grommets in your current hydroponic system. Similar to: Eco Plus, Botanicare, Auto Pot, General Hydroponics, etc.